small wonders: Oh, where were we again? Oh, where were we again? I'm not sure if anyone out there is still reading this blog, but if you are, I thank you from the bottom of my heart. In the past several months we've had some major family changes, and lots of other distractions that have kept me from this website. Glad to see you here again! I was thinking of venturing back to my blog sometime soon, too. Hooray! My book is now available! 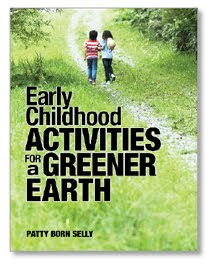 Providing ideas and inspiration as you explore nature with the children in your life. Please contact me via email pattyatdomwaredotcom if you want to find out about local playgroups, teacher training, "natural schoolyard" consultations, etc. Please get in touch with me directly to reprint any information from this website. 101 things to do outside with kids! 101 things to do outside with children #22...a little perspective, please!